There is a wonderful buoyancy in the work of poet Vogue Robinson that translates to her generous commitment to promoting the literary arts, especially in her new role as poet laureate for Clark County in Las Vegas. Indeed, the role has become an enviable case study in artistic entrepreneurship. Robinson’s appointment, a two-year term, follows Bruce Isaacson, a respected poet who also founded Poetry Promise, Inc. last year, a nonprofit organization that sponsors educational programs, public readings, workshops, publishing and other activities. Robinson is the executive director and she speaks enthusiastically about the close literary camaraderie that is giving the vitality to growing the area’s literary scene. A forthcoming publication will be Clark: An Anthology of Clark County Poets that will include her work along with that of 90 other poets. At 30, Robinson, a graduate of San Diego State University, immediately became a visible advocate not just for her own work but for her colleagues from the moment she relocated to Vegas four years ago. 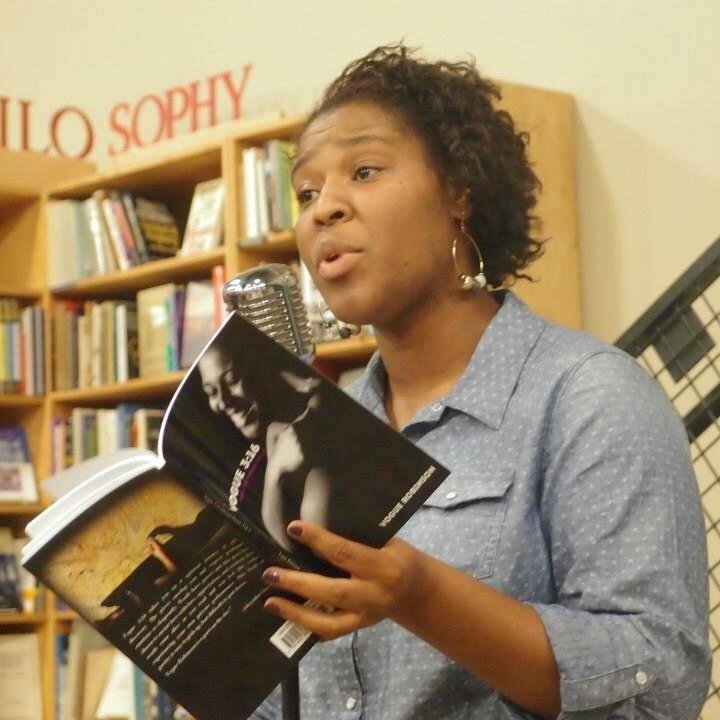 The author of a 2014 collection of her work titled Vogue 3:16, she also has co-hosted Words in Motion and has competed on the Battle Born Slam poetry team, which also will be competing in the team competition at the Utah Arts Festival. Robinson will read her own work on the festival’s Big Mouth Stage on June 25 at 3:30 p.m.
Robinson’s love for poetry and literature was cemented in her childhood days, she says in an interview with The Utah Review, thanks to her grandmother’s inspiration. “She was 66 when I was born and she raised me,” she says. “She’s 95 now and she’s a great storyteller with a memory that is amazing and intact. Art was important in the family. My grandmother and her sisters were visual artists, which included sewing and painting oils, pastels and watercolors.” She also cites Maya Angelou and Nikki Giovanni as principal role models in her own formative development. That generous spirit has carried over into Robinson’s development. 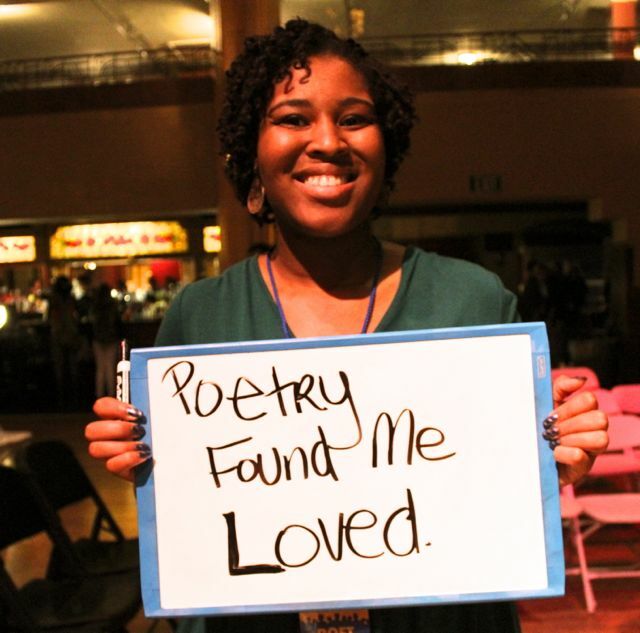 In college, she was introduced to the form of spoken poetry, a concise form of creative expression that conveys many complex themes and epiphanies in a short space and time, when done well. The wondrous positivism of a lifelong relationship of unconditional love is captured in clear details of Denture Love, as conveyed in the spirited, expansive voice of Robinson. It’s worth reading the text, barely 400 words, along with a video clip of her performance. Her style is completely selfless. Like Isaacson, a fellow poet whom she deeply admires, Robinson stepped quickly up to become involved and help others give visibility to their poetic voice, just as others had helped readers and audiences access her poetry. 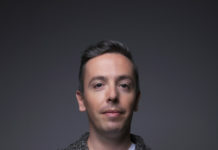 Among the initiatives in the metropolitan Las Vegas area that Robinson has been involved in is Rebel Writing: Writers With A Cause, which gives teens a chance to become comfortable and confident in writing poetry or narratives, and seeing it through the creative process from start to performance or publication. The project has been coordinated through the University of Nevada-Las Vegas and the Southern Nevada Writing Project. “I am motivated by these types of projects,” she explains. “I didn’t have poets around to encourage me and there’s something significant when a young black woman can go into a middle school classroom and talk to other young black women that they, too, can tell their stories as poets and writers.” And, she always likes to bring other poets and writers along to school visits to demonstrate how different literary styles and voices can develop. With a two-year term, Robinson is wasting no time in organizing and gaining support for existing and new programs. Isaacson initiated a Poets of National Stature program that has brought nationally recognized poets to Clark County for readings and workshops and an awards program for students, which she says definitely will continue. She hopes to organize a 24-hour poetry event downtown and schedule readings and performances at less traditional and less conventional settings such as retirement communities. The forthcoming anthology of Clark County poets and writers is one of the strongest signs of how Robinson genuinely believes in the power of spreading the wealth when it comes to strengthening the foundation to support and advocate for public programs that encourage both literacy and literature.